When I got to the SuperMac, our Marketing Communications group told me about our “award-winning” retail packaging for our graphics boards. Yet when I saw our retail package, I was confused. Confused because while I knew absolutely nothing about retail packaging, as a consumer I knew this box was not something I would pay attention to. It was black with absolutely no compelling reason to buy – no awards, no why-to-buy message, nothing. While I wasn’t an expert in retail packaging, even as a consumer I knew that when I was in a store, I scanned four or five products on a shelf, grabbed the most interesting one, read what was on the box, and picked one. And the product that “talked to me”, the loudest and most seductively, was the one that went home with me. Since we had no facts, other than my opinion that something wasn’t right, I took our staff on a field trip. (You can’t do marketing from inside the building.) We visited a couple of retail stores to look at how other companies were packaging their products and how ours looked next to theirs. Standing in the aisles we collectively got a sinking feeling. Our choice of black had made our retail box invisible on the shelf. We were on the bottom row – with an invisible box. We labeled this our “Black Hole of Packaging” strategy. The package had won awards all right – for the ad agency. The design was actually a negative drag on selling anything off a retail shelf. While we all had opinions about what we should do, we realized we needed some facts from someone with retail packaging expertise. Luckily (or maybe because we were in Silicon Valley where there was a domain expert for everything) there was a very smart consultant in the retail computer space, Seymour Merrin, who preached about the importance of packaging. He had teamed up with a former product manager at P&G to deliver seminars on just this subject. We learned the basics of retail packaging: make the box eye-catching, ensure there was a “why-to-buy” message, include just enough information to close the sale, fight and pay for eye-level shelf space, etc. Her packaging class was so good that we sent every new marketer at SuperMac to take it. From grumbling skeptics, they all became packaging design converts. We realized that we needed to take all these lessons and redesign our packaging. 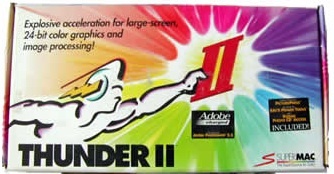 The results of our package redesigns were packages like “SuperMac Thunder II”. They were bright, they were loud, and they had lots of reasons to buy front and back. And for sure they were never going to win any design awards. To check how effective our new packaging was, we ran tests at our local computer retailer. We would run in and put test versions of dummy boxes on the shelf and just watch what happened – we wanted to see if people picked up the box, and when they did what they looked at and what they read. (We would interview them after they put the box back on the shelf. And we had to convince a few of them the box was really empty.) The most interesting thing we learned was that people felt more comfortable about a product when there were words of encouragement on the package. So we started putting stickers on the packaging every time we’d win an award. People would go, “Oh, this one won the “best of MacUser Magazine benchmark” award,” and it would confirm that this was a safe purchasing choice. In thinking about the packaging story, it would have been easy to blame the agency who designed the box for poor package design. Or blame my MarCom department who approved it. But that wasn’t the root cause of the problem. It was a management problem. We had been outsourcing an important part of our demand creation strategy – packaging – to an outside agency without having the expertise to judge or manage the results. We hadn’t taken the time to learn the basics of packaging ourselves. And the final lesson was that we were keeping score on our packaging with the wrong metrics – it wasn’t about awards, it was about sales in the retail channel. So we not only sent everyone through packaging school, we also brought the packaging design in-house. From now on we would design the retail boxes ourselves, not because we could do a better design job, but because this was a critical skill that our company and department needed to learn – using packaging to increase retail sales. When we had mastered the art, then I was ready to outsource it again, but not before this became a core competency of my department. Oh yes, and retail sales doubled with the new product packaging. For many of you reading this, boxes sitting on a retail shelf may seem hopelessly outdated, but the same marketing lessons hold for “award winning” web sites or social media. Your design or ad agencies can impress you with their awards, but if you’re not moving product or creating demand, you’ve missed the point. Worry about the sales results. Campbell describes how he tried to instill in his troops the proper combat mentality. I’ve paraphrased his speech into the language of a startup. It’s eerily similar. Startups are inherently chaos. As a founder you need to prepare yourself to think creatively and independently, because more often than not, conditions on the ground will change so rapidly that the original well-thought-out business plan becomes irrelevant. Therefore the best way to keep your company alive is to instill in every employee a decisive mindset that can quickly separate the crucial from the irrelevant, synthesize the output, and use this intelligence to create islands of order in the all-out chaos of a startup. Every potential startup founder should think about their level of comfort operating in chaos and uncertainty. It may not be for you. I always had been curious about how Silicon Valley, a place I had lived and worked in, came to be. And throughout my career as an entrepreneur I kept asking questions of my VC investors and friends; Where did entrepreneurship come from? How did Silicon Valley start? Why here? Why now? How did this culture of “make it happen” emerge, etc. And the answer came back much as it did in my past jobs; Who cares, get back to work. After I retired, Jerry Engel, director of the Lester Center on Entrepreneurship, at U.C. Berkeley Haas Business School was courageous enough to give me a forum teach the Customer Development Methodology. As I was researching my class text, I thought it would be simple enough to read up on a few histories of the valley and finally get my questions about the genesis of entrepreneurship answered. 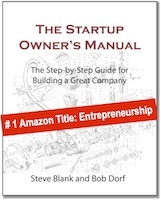 But no one was writing about where the entrepreneurial culture had come from. Where were the books explaining why were all these chip and computer companies started here? Why not elsewhere in the country or the world? With the exception of one great book, no one was writing about our regional advantage. 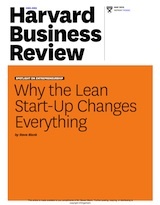 Was it because entrepreneurs keep moving forward and rarely look back? I needed to dig deeper. To my surprise, I discovered that yes, Silicon Valley did start in a garage in Palo Alto, but it didn’t start in the Hewlett Packard garage. The first electronics company in Silicon Valley was Federal Telegraph, a tube company started in 1909 in Palo Alto as Poulsen Wireless. (This October is the 100th anniversary of Silicon Valley, unnoticed and unmentioned by anyone.) By 1912, Lee Deforest working at Federal Telegraph would invent the Triode, (a tube amplifier) and would go on to become the Steve Jobs of his day – visionary, charismatic and controversial. * Federal Telegraph and Lee Deforest in Palo Alto are the first major events in what would become Silicon Valley. We need to reset our Silicon Valley birthday calendars to here. By 1937, when Bill Hewlett and David Packard left Stanford to start HP, the agricultural fields outside of Stanford had already become “Vacuum Tube Valley.” HP was a supplier of electronic test equipment and joined a small but thriving valley electronics industry with companies like Litton and Eitel and McCollough. * By the late 1930’s when HP started, a small group (measured in hundreds) of engineers who made radio tubes were building the valleys’ ecosystem for electronics manufacturing, product engineering and technology management. There isn’t much written about Silicon Valley during and after World War II. The story of the valley post war, through the 1950’s, is mostly about the growth of the tube companies and the rise of Hewlett Packard. The popular literature has the valley springing to life in the 1960’s with the semiconductor revolution started by Shockley, Fairchild, Signetics, National and Intel, followed by the emergence of the personal computer in the mid 1970’s. But the more I read, the more I realized that the public history’s of the valley in the 1950’s and ’60’s were incomplete and just plain wrong. The truth was that huge dollars were spent on a large number of companies that never made the press or into the history books. Companies specializing in components and systems that operated in the microwave portion of the electromagnetic spectrum sprouted faster than fruit trees in the valley orchards. In ten years, from the early 1950’s to the early 1960’s, the valley went through a hiring frenzy as jobs in microwave companies went from 700 to 7,000. This wave of 1950’s/’60’s startups (Watkins-Johnson, Varian, Huggins Labs, MEC, Stewart Engineering, etc.) were making dizzying array of new microwave components; power grid tubes, klystrons, magnetrons, backward wave oscillators, traveling wave tubes (TWT’s), cross-field amplifiers, gyrotrons, and on, on… And literally across the valley, these microwave devices were being built into complete systems for the U.S. military by other new startups; Sylvania Electronics Defense Laboratory, Granger Associates, Philco, Dalmo Victor, ESL and Argosystems. In the 1950’s and ’60’s more money was pouring into these companies than on the fledgling chip and computer companies. * The 10x expansion in the number of engineers in the valley in the 1950’s came from the military and microwaves – before the semiconductor boom. And these microwave engineers were working at startups – not large companies. You never heard of them because their work was secret. When I read the funny names of these microwaves devices… Backward wave oscillators, TWT’s, Magnetrons…long silent memories came back. These components were the heart of the electronic warfare equipment I have worked on; including fighters in Thailand and on B-52 bombers. After 20 years, the story started coming home for me. What the heck happened here to create this burst of innovation? What created this microwave startup culture in the 1950’s? And since there was no Venture Capital in the 1950’s/’60’s where was the money coming from? This startup boom seemed to come out of nowhere. Why was it occurring here? And why on earth the sudden military interest in microwaves? Part of the answer was that these companies and the military had forged some type of relationship. And it appeared that Stanford University’s engineering department was in middle of all this. 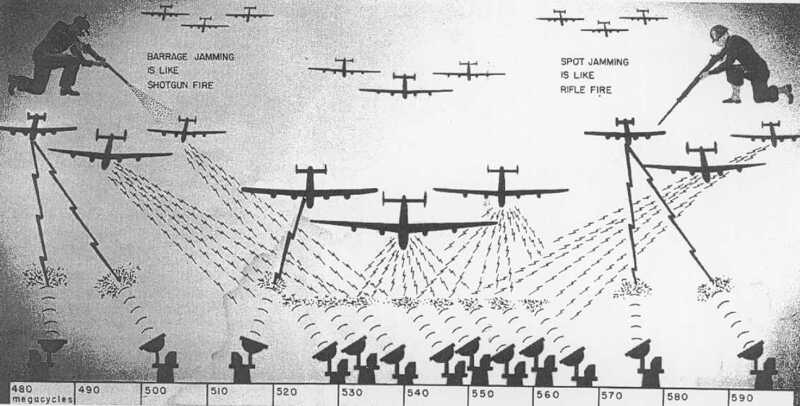 The formation of the military/industrial/university relationships during the Cold War and the relationship between Stanford and the intelligence community in particular, went on untold and out of sight. While nothing I read described the specific products being worked on, or what specifically was Stanford’s contribution, there were some really tantalizing pointers to who the real customers were (hint, it wasn’t just the “military,”) or why was this work was being done at Stanford. No one knew that it all pointed to just one guy at the center of it all – Fred Terman of Stanford University. * Stanford, the military and our intelligence agencies started the wave of entrepreneurial culture that today’s Silicon Valley takes for granted. The “Secret Life of Fred Terman” and “Stanford Fights the Cold War” on the Part VI of the “Secret History” posts here. First the bad news: the new family of eight high performance graphics cards we were counting on couldn’t be delivered. The plug-in co-processor architecture was too complex and couldn’t be made to work reliably. Instead of the family of eight products we were expecting, only one could be delivered. Nothing else was in the development pipeline for the next 12 months. I couldn’t believe what I was hearing. One of the reasons I had joined the company was seeing these boards as hope for the future. Now we were faced with the fact that even though we were gaining market share daily, there was nothing coming out of Engineering. Well not quite nothing: there was the good news. Instead of eight boards, Engineering was going to be able to deliver one new graphics board. Just one. But it was going to be the fastest graphics board ever made. In fact, according to our Potrero benchmark suite this new board ran our customer applications ten times faster than our current products. I went home to think about this. Instead of a product family, we had a single point product. Each of my competitors each had 5-10 graphics boards covering a range of prices with performance to match. 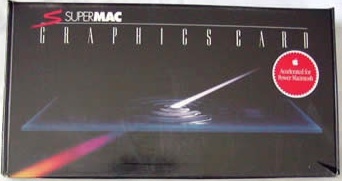 Even our current product line had four graphics boards in it. Now our new product line would only have one board?!. What could we do? The next day I walked in uninvited to the VP of Engineering’s office and asked if he had a minute. I said, “I realize you’re trying to get the one board out to market, but I have a question – can you slow our new board down?” It doesn’t take much imagination to see the look he gave me when I asked that question. “Steve, this hasn’t been a good week. What do you really want?” I felt sorry for him, he was working really hard to dig out of this mess. I replied, “No joke. Can you make it slower? I think he wanted to strangle me as he barely got out, “We worked for years to deliver a product that’s ten times faster than anything that exists and you want to make it slower?” Well, not exactly, “What I want to know is if the board would work if you slowed it down by 10%?” Yes, was the answer. “How about if you slowed it down 20%?” Yes, was still the answer. “By 30%?” The change in his demeanor – from trying to kill me – to laughing, as it dawned on him where I was going, could only be described as hysterical relief. “40%?” Yes, yes and yes. We were about to be partners in building a new product family. First, what we proposed is that we take our world class, ten-times-faster-than-anyone board and build an entire product family around it, by slowing it down. We wanted nine boards, each differing in performance by 10%. The only real difference between them would be the addition of “wait states” or “slow down” instructions on a chip. Our entire new product family would be an identical board. Next, we were going to create three separate product families, each its own unique brand. And within each brand we would have a “good”, “better”, and “best” graphic board. All tailored to our color publishing market. The reaction inside our company could not be described as polite. At first most people thought we were joking. No one believed it would work. Some engineers were insulted that we were going to slow down their board and sales was convinced that within days of the board hitting the street we would have a black market in chips to speed up the $699 boards and turn them into $3,999 ones. My own marketing department was convinced that the same industry magazines, which we had managed so well, would turn on us when they saw that the boards were physically identical. Yet I believed that this was the only alternative to slowly going out of business. (While our engineering department was close to the customer, seven of those eight products they were going to ship to those customers weren’t going to see the light of day.) Now it was up to Marketing is to take the technology as delivered by Engineering and shape it to the needs of the customers and market. By creating these new families of products we could provide real value to our color desktop publishing customers by giving them performance at a price they couldn’t get anywhere else. A Big Idea – Marketing Adds Value. This notion of Marketing taking what Engineering builds as a starting point, not an end point, is the difference between just being a marcom department and a value-added Marketing department. If all you’re doing is shipping and launching the product as spec’d by Engineering, you’re not adding value. 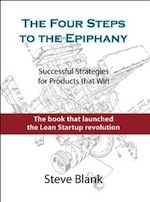 The job of Marketing is to help Engineering figure out how to deliver product(s) that customers need and want. It starts with a deep understanding of what customers need (and making sure Engineering is getting continuous customer feedback and interaction.) We did that when we surveyed our customers. Next, we had a good understanding of the capabilities of the product that Engineering was building. And in this very unique case, we figured out how to maximize revenue and profit by branding and product line extensions. We would use this same idea 10 years later at E.piphany. If we were right, this line extension and branding strategy would allow us to catch up to our competitors and overtake them. Luckily marketing had built a reservoir of credibility with our peers and CEO. After the VP of Engineering described the alternatives (no new products for a year), desperation became the mother of innovation and we launched our new family of nine new graphics boards. As far as manufacturing was concerned, they were the identical graphics board. 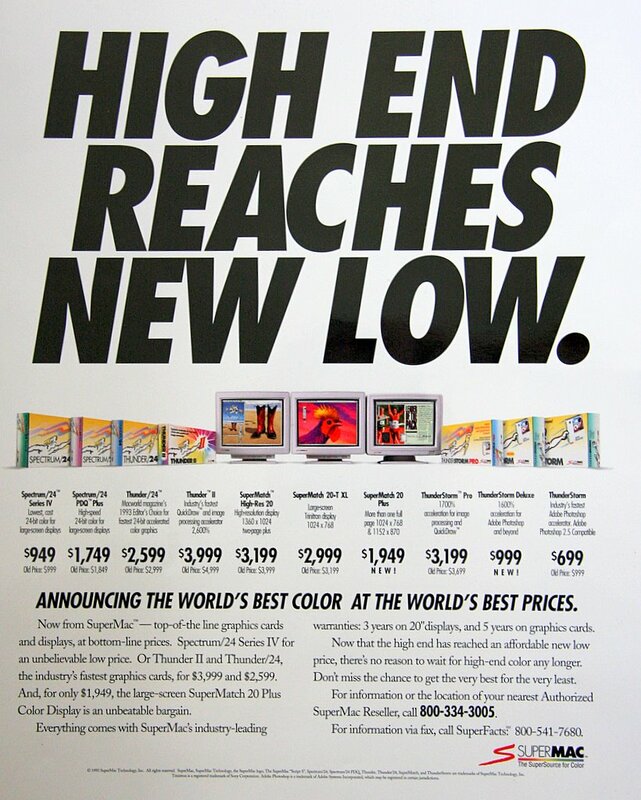 As customers saw them, they were a new family of products aimed directly at the color desktop publishing market with astonishing performance and a low-cost entry price. The results spoke for themselves: Not one black-market board ever appeared, and the press was satisfied with our “customer value and product family” explanation. Our new graphics boards became the market leader of the industry. In three and a half years SuperMac’s market share went from 11% to 68%, as we went from bankruptcy to $150 million in sales. At times, what Engineering delivers is the raw material. Marketings job is to take engineering products and use them to maximize revenue and profit. In an existing or resegmented market, this may include branding and product line extensions. This requires deep customer and competitive knowledge. In most markets, “first mover advantage” is illusorily; fast followers often win.